Do you want to straighten your pearly whites? 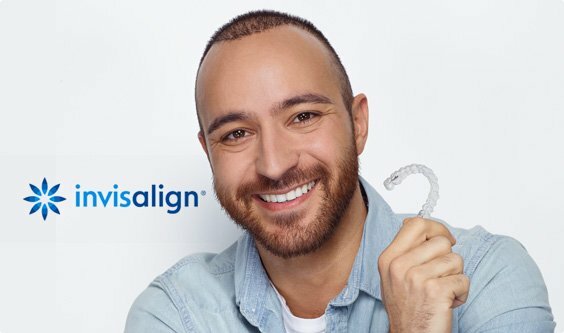 Our experienced team can use Invisalign's virtually invisible aligners to straighten your teeth without anyone knowing you're wearing them! Our early consultations specially for children help set them up with great teeth for life. Discover the range of braces we have here at Scott Smith Orthodontics. Check out the smiles of our patients to see the difference braces can make. A global network of specialist orthodontic professionals dedicated to treating patients with Invisalign. Scott Smith OrthodonticsOur patients. Our family.